Produktinformationen "NewTek Connect Spark™ Pro"
Capture 4K UHD video directly from the source and translate to NDI® for use with any compatible system, device, or software on your network with the NewTek Connect Spark™ Pro video converter. From acquisition to delivery, insert Connect Spark™ Pro wherever you need it in your workflow. 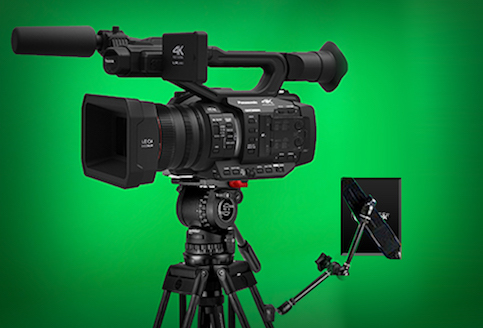 Compatible with all systems, devices, and applications that support NDI®, it brings valuable versatility to every production. Set up Connect Spark™ Pro to suit your network configuration and delivery needs, with support for all NDI® transfer modes, to include unicast and multicast UDP with forward error correction (FEC), and unicast TCP. Portable and camera-mountable, with built-in tally lights and support for Power over Ethernet (POE), Connect Spark™ Pro integrates effortlessly into any professional production setup or studio environment. 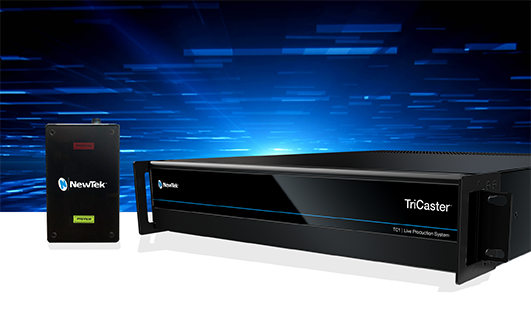 Weiterführende Links zu "NewTek Connect Spark™ Pro"
NewTek Connect Spark™ Pro is the fastest, easiest, and most flexible solution for converting 4K UHD video for IP workflows. 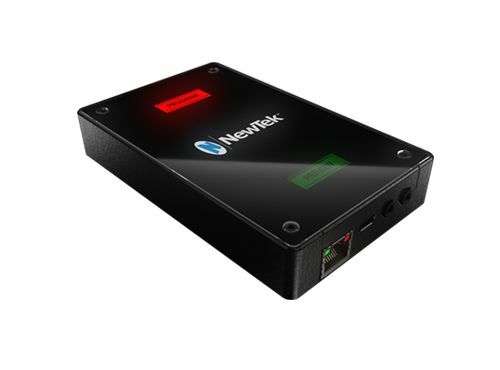 In its ultra-portable enclosure, it combines the groundbreaking benefits of NDI®, NewTek’s innovative Network Device Interface technology, with powerful, professional features for modern video production. 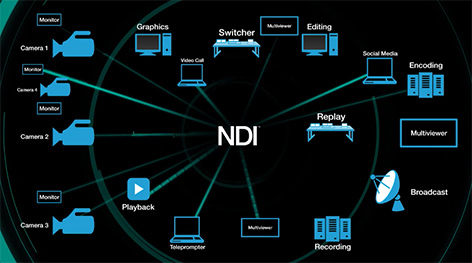 Translate video from the connected camera or device to IP, delivering to the network as a high-quality NDI® video source with near-zero latency. Carry Connect Spark™ Pro with you wherever you go, or optionally mount to a compatible camera or support using the industry-standard threaded screw mount. Convert video of any compatible format to NDI®, including 4K UHD, with native support for resolutions up to 2160p at 60 frames per second. Connect, capture, and convert any compatible HDMI video source. Power Connect Spark™ Pro via USB, or optionally power over the wired Ethernet connection using a suitable POE networking device. Present high-quality sound, with support for embedded HDMI digital audio and 1/4” analog audio. Receive tally notification from compatible NDI® devices via physical LEDs when video output from Connect Spark™ Pro is visible on Program and/or Preview. Monitor video, manage login credentials, access controls, and configure audio, video, and network settings from any supported Web browser on any compatible networked device. Designate Connect Spark™ Pro as the video input source in popular desktop video applications like Google Hangouts, GoToMeeting, Skype, Skype for Business, WebEx, Zoom, and more using the free NDI® Virtual Input* tool. Easily identify Connect Spark™ Pro on your network with the ability to apply custom device and channel names. Access Connect Spark™ Pro devices connected to other networks via IP address and make them visible within your production environment using NDI® Access Manager. Download and install free firmware updates to ensure your Connect Spark™ Pro is equipped with the latest features, capabilities, and performance enhancements. Kundenbewertungen für "NewTek Connect Spark™ Pro"